Use Tenacious Tape patches to quickly mend fabrics in the field. 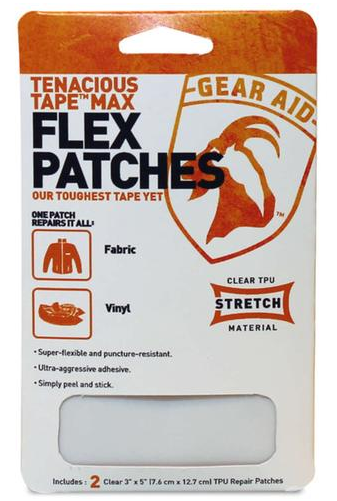 Check out the Max Flex patches – Tenacious Tape that’s been pre-cut into two 3″x5″ patches for quick repair of tents, jackets, hoods, spraydecks, and other gear. 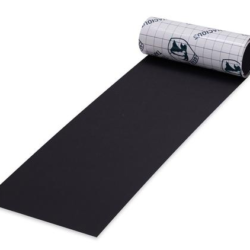 The Max Flex patches have rubber-like elasticity and are suitable to fabrics, vinyl, inflatable rubber, and outdoor use on metal, steel, and plastic. 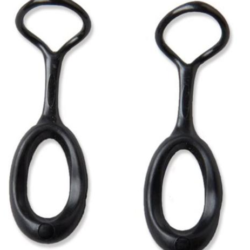 Max flex patches are flexible even in cold weather, withstand washing, and will not yellow with UV exposure.